One word: YUM. It’s been at least a year since I last tried making crepes, and with the lack of kitchen utensils and appropriate pans in AW’s kitchen, I was a bit nervous about how these would turn out. That being said, I’m pretty resourceful, and I don’t like when a recipe gets the best of me. So I did what I could with what I had, and I have to say, the results were surprising. 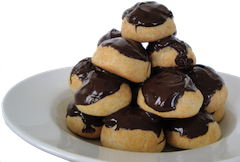 I came across this recipe on the blog Evil Shenanigans (you can find the original recipe here), and was very intrigued. Chocolate crepes aren’t really the norm, and it’s always fun to try new twists on classic recipes, so it seemed the perfect recipe for a lazy Saturday morning. I imagine though that if you tried it at any other time — morning noon or night — it’d be just as spectacular. Each of the individual components doesn’t particularly stand out on its own, but together the marriage of flavors is incredible. 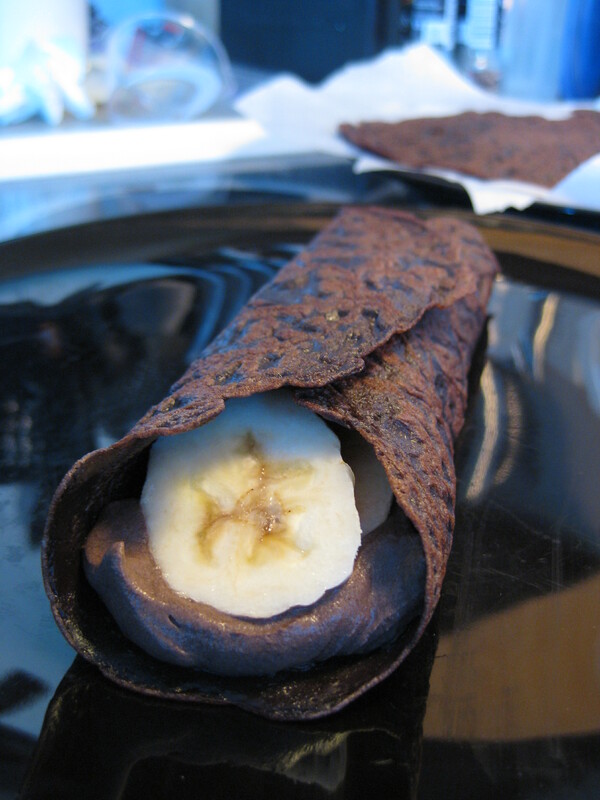 The creamy mascarpone filling pairs well with the cocoa crepes, and the sweet, fresh banana is the perfect finishing touch that takes this breakfast treat from outstanding to out-of-this-world. Words cannot even do the flavors justice, so I recommend you try for yourself! On Sunday morning, we had a couple of crepes left over (the recipe says it makes 12 crepes, though our batter only made 7), but not enough filling for both, so we stuck some Nutella into the second one with some bananas, and it was equally delicious. I’d say these crepes are the absolute perfect weekend treat — simple, sweet, and oh-so delicious.